All over the world, and in numerous industries, dry ice is used for various purposes. Whether it is for cleaning a surface or keeping things cool while being transported, dry ice has its benefits! Looking for more information about dry ice? Well, this article will cover just about everything you could possibly be looking for. To put it basically, dry ice is the solid form of carbon dioxide. The main purpose of dry ice is for cooling, as it is colder than ice water. And when it breaks down, instead of leaving a residue to clean up, it evaporates when it returns to its gaseous state. Dry ice is nontoxic but it can leave a nasty burn if care is not taken while it is being handled. Colourless, and without a smell, dry ice is also non-flammable and safe to use in almost any environment. Through a process is known as sublimation, the ice changes from a solid state into a gas state with no liquid residue. The opposite process, when the gas is changed back into a solid state, is known as deposition. Each of these phases takes place when certain temperatures and certain pressures are present. The density of the dry ice is also a factor that changes based on the conditions under which the substance is formed. First discovered in 1835 by a French inventor during one of his experiments, it didn’t take long for the ice to become really popular. In 1924, an American successfully applied to patent the substance in order to sell it commercially. Eventually, he was to be part of an entire industry revolving around dry ice. The substance received its name in 1925 when it was trademarked as the Dry Ice Corporation of America and it was also in this year that the substance was sold for the first time commercially and marketed specifically for refrigeration. From the earliest times when the product was first introduced to the public, to present day where dry ice has more uses than ever before, this substance has only become more popular! Although it may well seem to be a rather complex substance, it is not all that difficult to manufacture it. As it is formed from a gas, the process requires that a high concentration of carbon dioxide needs to be produced. This is done using gases with a high carbon dioxide content. The carbon dioxide is often a by-product of other gaseous processes. The next process involves refrigerating the gas with a high carbon dioxide concentration until it becomes a liquid. And then the pressure is drastically reduced. When this is done some of the liquid carbon dioxide will vaporise and when this happens the temperature of the remaining liquid will rapidly cool down. The final outcome is that the cold causes the liquid to solidify. At this point of the process it is not going to have that solid look, rather it will have a snow-like texture. The carbon dioxide will need to be compressed into larger blocks or small pellets depending on what the purpose of the ice will be. Dry ice will generally be manufactured in 3 sizes. These include larger blocks which can be used for refrigeration over long distances, cylindrical pellets which are also great for cooling, and tiny cylindrical pellets which are mostly used for cleaning purposes. Cleaning and cooling are the two primary uses of this ice. And they do both jobs exceptionally well! But it also has a few other uses, such as being used for fire fighting efforts and to solidify oil. Whether it is for commercial use, industrial use or scientific use, dry ice is highly effective and affordable. Right off the bat, when it comes to the commercial use of dry ice, the most common use is for cooling and refrigeration. For packaging, or keeping things like ice cream cold, shops turn to blocks of dry ice. With the products properly packed next to this substance, they will remain cold and they will not melt. The ice is also used during the transporting of products. Long distance transportation of products that can either melt or spoil require a cooling system that will not fail. And that ideal system is dry ice packaging. But while dry ice is always a great cooling product, it is also used to keep insects away from products being transported. Oxygen in grain containers can become the environment in which insects thrive, but with this solid carbon dioxide product being included in the container, oxygen will be displaced and insects won’t survive. For the same purpose of keeping out oxygen, dry ice can be used to prevent certain products from going rancid and spoiling. This ice also has a place in the plumbing industry as well as in the entertainment industry. When it comes to plumbing, dry ice is used to freeze water in pipes to create an ice plug. This stops the water from pouring out for just long enough for the work to be done. In the entertainment industry, dry ice is used to create a mist which makes it popular in night clubs. 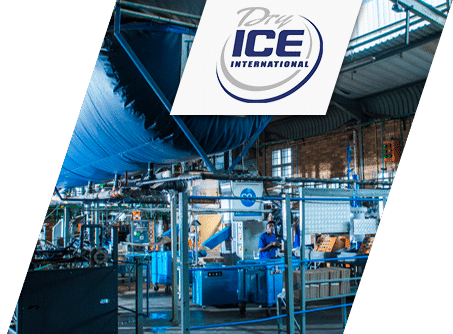 Because dry ice is harmless, and especially because it does not disintegrate into a liquid form, this substance is popular in industrial environments. When it comes to keeping dirty industrial settings clean, dry ice blasting offers a safe solution. Easy to use, highly effective at lifting all sorts of dirt, grime and oil from surfaces, dry ice blasting shoots small pellets at immense speeds which do the cleaning. This method can be used near electrical cables and equipment without the worry of damage being done. Dry ice blasting is one of the largest mechanical uses of dry ice. Compressed air is used to shoot out the dry ice pellets and it is also known to remove ink, glue, paint, oil, mould and even rubber! This is arguably one of the most popular cleaning methods used in tough industrial settings. In other industrial settings, this substance can be used to remove harmful, flammable gas from containers. It seems fitting that the product of an invention is used to this day in other scientific experiments and processes. This carbon dioxide based ice is a staple in laboratories all over the world. Instead of being used in a solid form, the dry ice is used as a slurry in an organic solvent to be used as a freezing mixture to encourage chemical reactions requiring cold. Dry ice has also being used in experiments to encourage precipitation in clouds. In experiments in the United States during the 60s and 70s, dry ice was dumped into clouds in an attempt to produce artificial rain. In later years, the ice would be replaced by silver iodide. Dry ice blasting is one of the most common uses of this ice, and it is really effective! Cleaning using this freezing cold method is one of the best ways to keep an industrial setting really spotless. With a high pressured air current racing from a machine, dry ice pellets pelt the surface and push up anything that shouldn’t be there. The method is similar to that of sandblasting and it is just as effective although it is much less abrasive! Once the surface has been swept clean, the dry ice pellets return to their gaseous state and simply disappear, leaving a spotless surface. What benefits are associated with dry ice blasting? If you are not yet completely convinced about the effectiveness of dry ice blasting, here are just a few of the benefits that you might find convenient. A complete clean is what you will have once you have dry ice blasted your surface. This is the ideal method for getting rid of all stubborn stains and spills. With dry ice blasting, you will be reducing the amount of time it will need to do your cleaning, and there will also be no need to do any additional scrubbing. Unlike other cleaning methods which can be very abrasive and end up doing more harm than good, this method will do no damage to your surfaces. For all of the power that it packs, the method is actually very gentle. You won’t have to do any damage control or maintenance, instead, the dry ice pellets will lift off the grime and leave your surfaces spotless. Well, there won’t be any need! Because dry ice has that wonderful property of evaporating, there will be no left over waste to clear away. This also makes it a very safe cleaning method. Even when used around electrical outlets and cables, there is no danger of any liquids from the cleaning creating a dangerous situation. 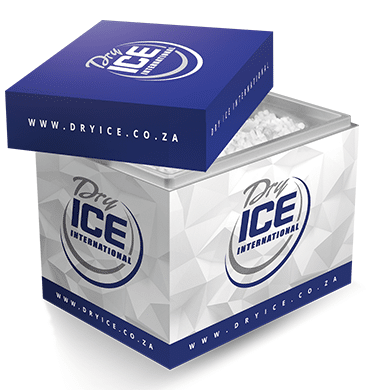 Offering free nationwide delivery, Dry Ice South Africa has quickly grown to become one of the leading companies selling dry ice of all sizes. 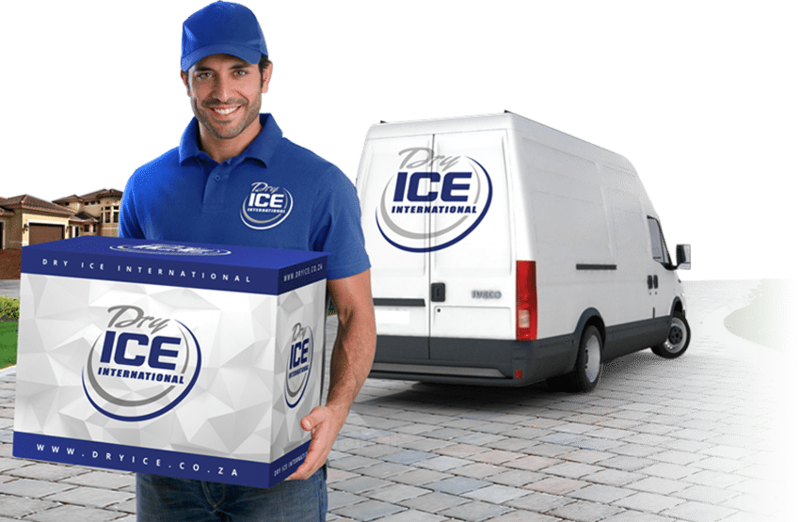 We offer FREE delivery to Cape Town, Johannesburg, Durban, Pretoria, Port Elizabeth, Soweto, Bloemfontein, East London, Sandton, Midrand, Middelburg, Witbank, Nelspruit, Upington, Kimberley, Rustenburg, Potchefstroom, and Polokwane. Our products are reliable and are guaranteed to get the job done! Get in touch with us today to place your order.